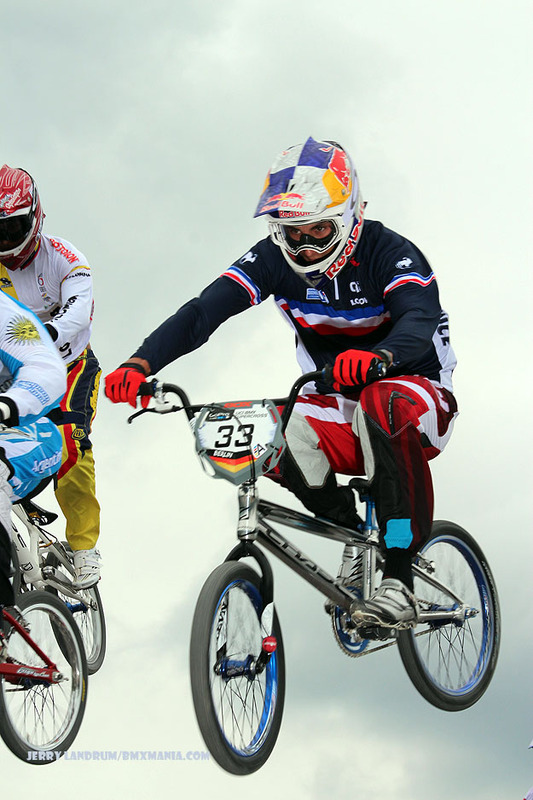 Round 3 of the 2014 UCI BMX Supercross season headed to Berlin, Germany. 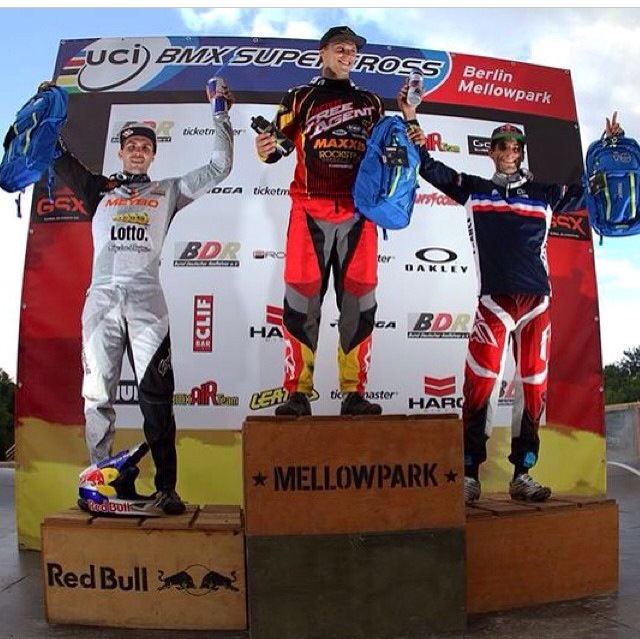 At the location of last years Redbull Revolution event, where Connor Fields took the win, the UCI SX crew changes the track around to better fit the Supercross racing format for the Men and Women and held the first BMX World Cup ever in Germany. Once again, the rain followed the tour, making racing on both Friday and Saturday on delay. 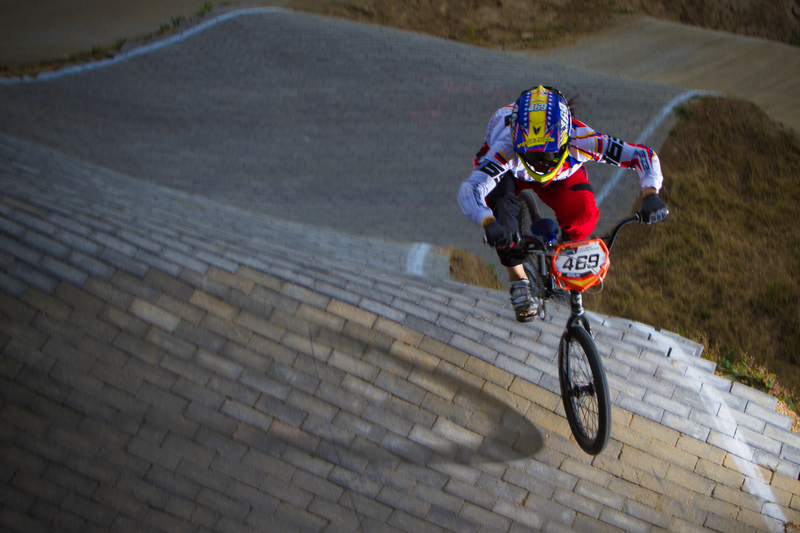 But the crew did an incredible job of getting the track in race shape, and the event went on. 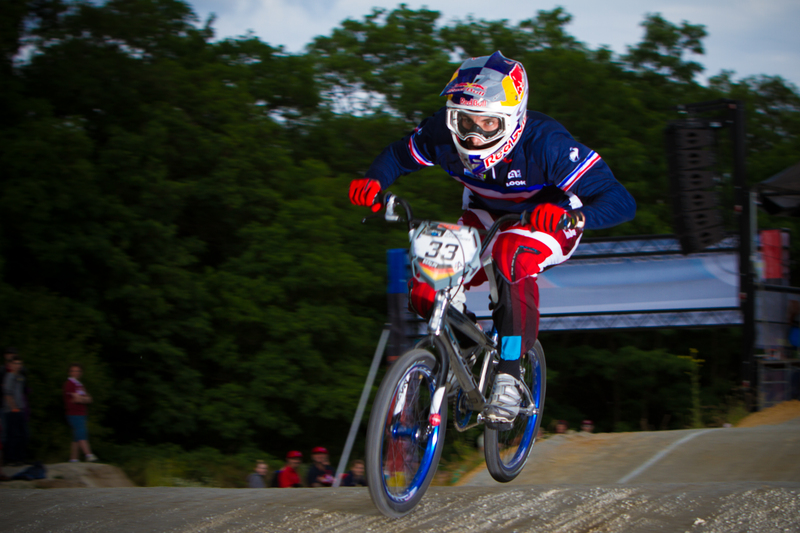 Unfortunately, the track was a tight one, and it claimed some of the top riders on the tour, including Connor Fields, Anthony Dean, and points leader Liam Philips. 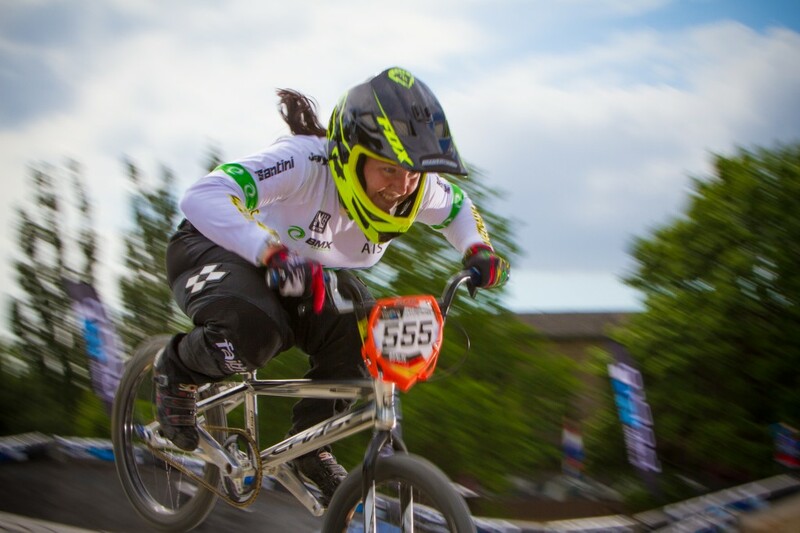 But the strong prevailed, and Joris Daudet and Renato Rezende in the Elite Mens and Stefany Hernandez and Melinda McLoud all made their way into the main events. In the Elite Mens main event, Joris had a good start, and battled it out with Maris Strombergs and Twan Van Gent down the first straightaway. Joris had a small bonk at the ned of the first straightaway and would settle back in 3rd and finish the lap in that spot, with Rezende just behind him in 5th.